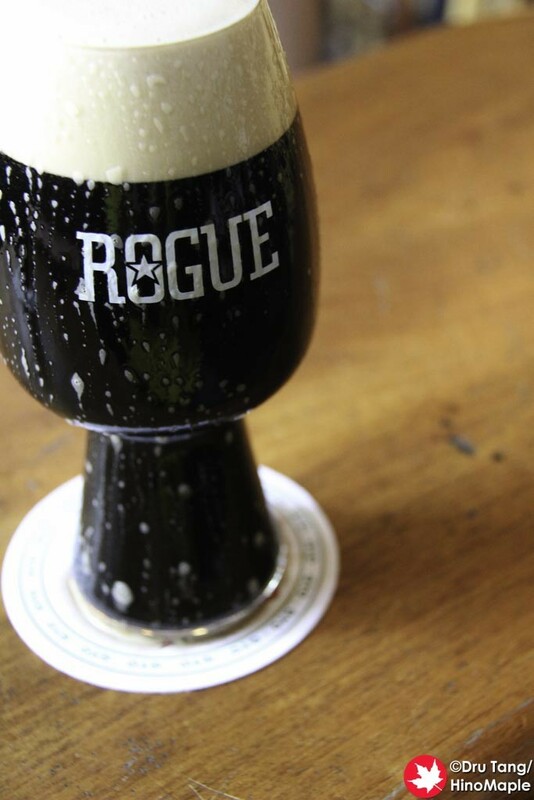 When I was in Portland, I knew I had to visit Rogue Ales. 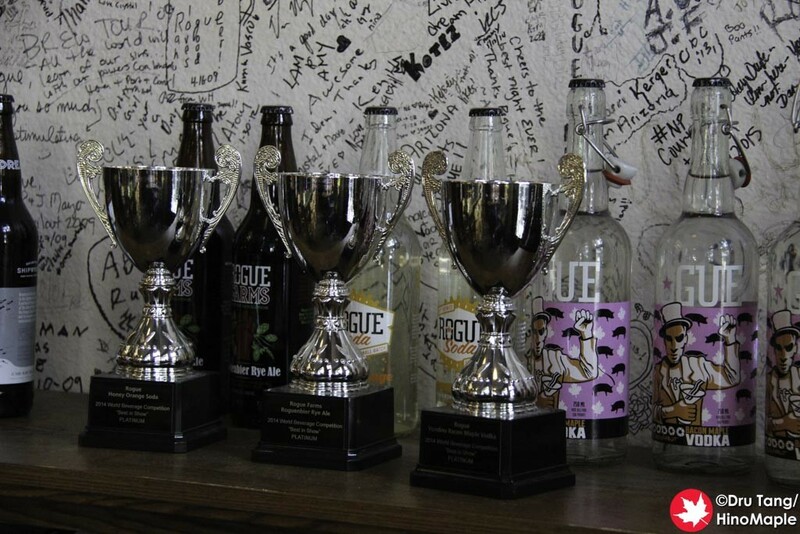 They are pretty famous and one of the biggest craft beer companies on the west coast. 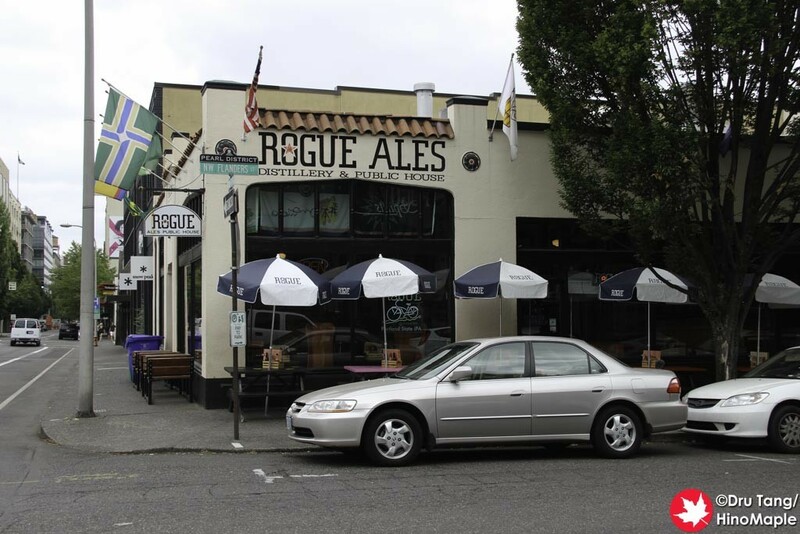 Originally I was going to go to 10 Barrel Brewing but they were so busy that we went to Rogue to have a quick drink and some food. 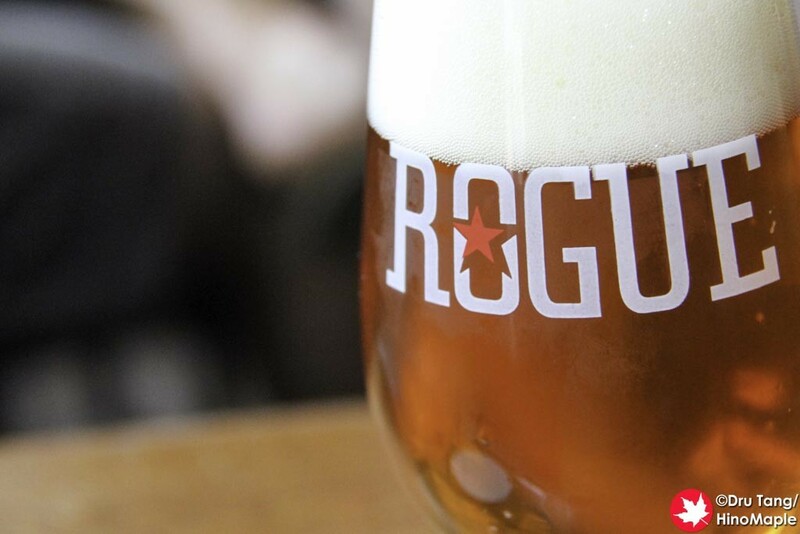 We liked Rogue so much that we ended up staying a long time and I had a lot of excellent beers at the same time. 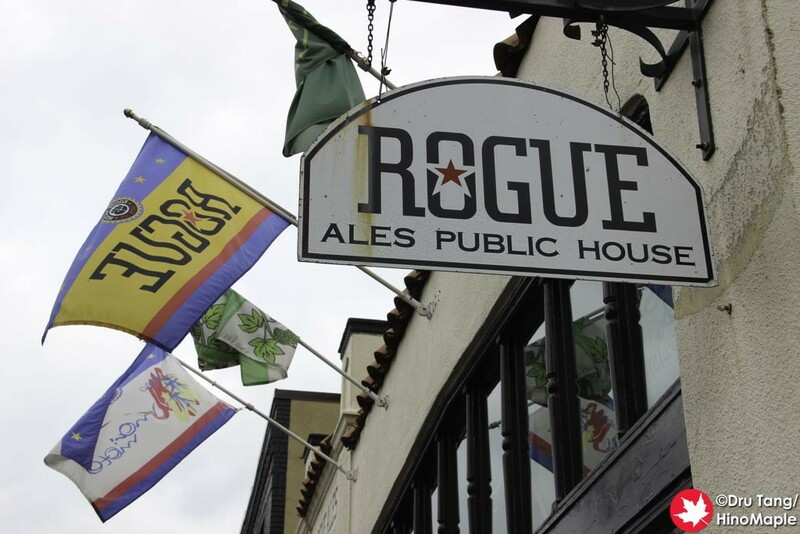 Rogue has many locations and their Public House is located in the brewery district of Pearl. It was a dream to be in that area and I had trouble not drinking myself under the table. 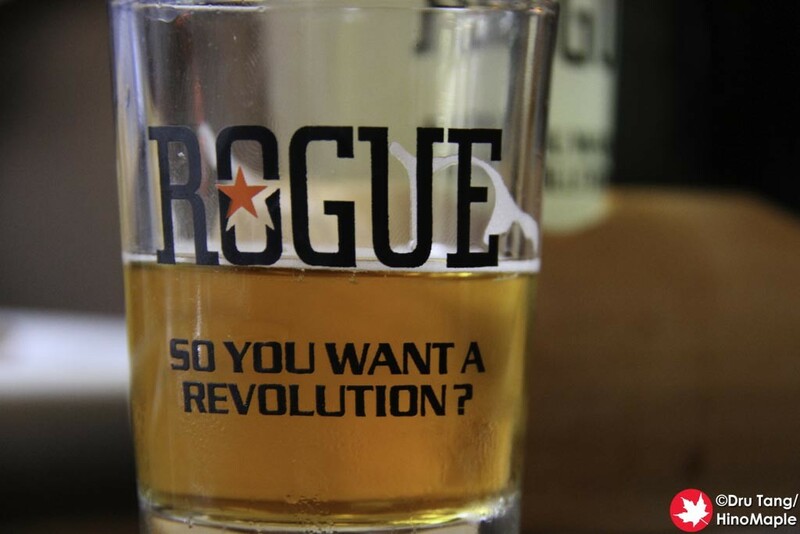 I went with R and he isn’t a drinker but Rogue has something for everyone. We started off at the bar and I was just taken back by the really cool design of the restaurant/bar. Outside has a bit of a Mexican feel to it, as if it used to be an old Mexican restaurant, but it isn’t. They have some great tables outside but they were all taken when we got there. When you go inside, the left side is like a restaurant and the right is like a bar. We migrated to the bar and took up shop at one of the tables. The first thing I always do is look at the beer list. With 38 taps, it was very difficult to decide what to get, but I knew I needed an IPA. They had a few IPAs on tap and I couldn’t decide which one to get, so I asked the bartender. 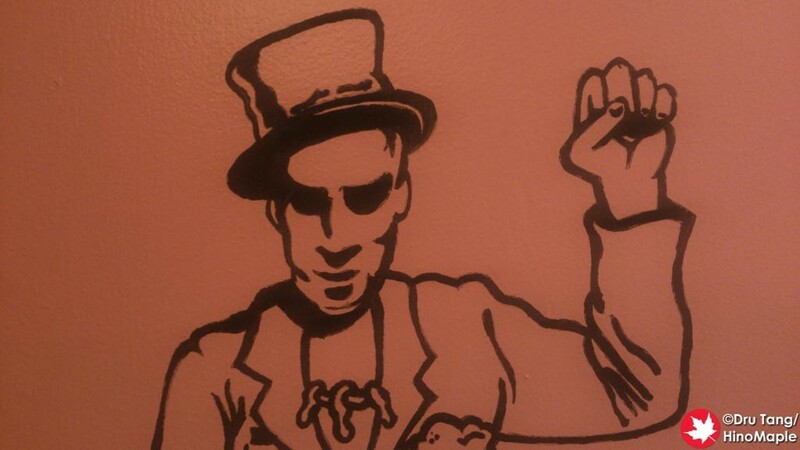 Our bartender was a really cool guy. He was a little portly and had a nice moustache in an “Imperial style”, in other words it was curled at the ends. He was also wearing a yellow shirt which really made me think that he was more alike Wario, but since I can’t remember his name, I have no choice but to call him Wario from here on out. Wario was really great, friendly, and really a perfect image of a person from Oregon. He recommended a good beer for me to try and my friend R got one of Rogue’s sodas. 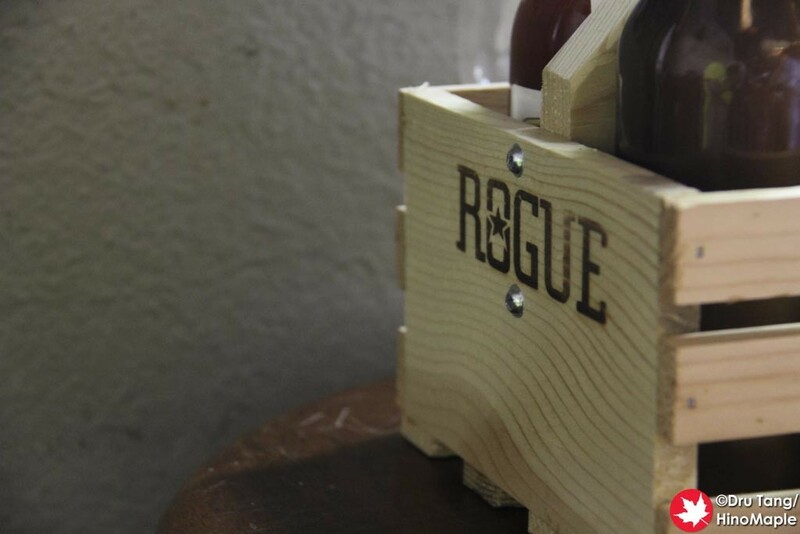 Rogue makes a lot of different things including whiskey and sodas. He got a cucumber soda and said it was excellent. He even bought several bottles of it and wishes he could have more. My IPA came out in a special Spiegel IPA glass. In Japan, these are pretty rare and never found in restaurants, but in N. America, these are starting to be more and more popular. I followed the IPA with a nitro stout which also came in a specialized Spiegel stout glass. I was in heaven to say the least. My last round was a tossup. I wanted one more beer but couldn’t decide. I asked Wario for a little help and while I wanted a pint, he brought me a flight of beers. I was a little disappointed as I preferred pints over flights, but I wasn’t let down at all. He asked me about what kinds of beers I wanted and I just said I wanted interesting beers that you really can’t get anywhere else. 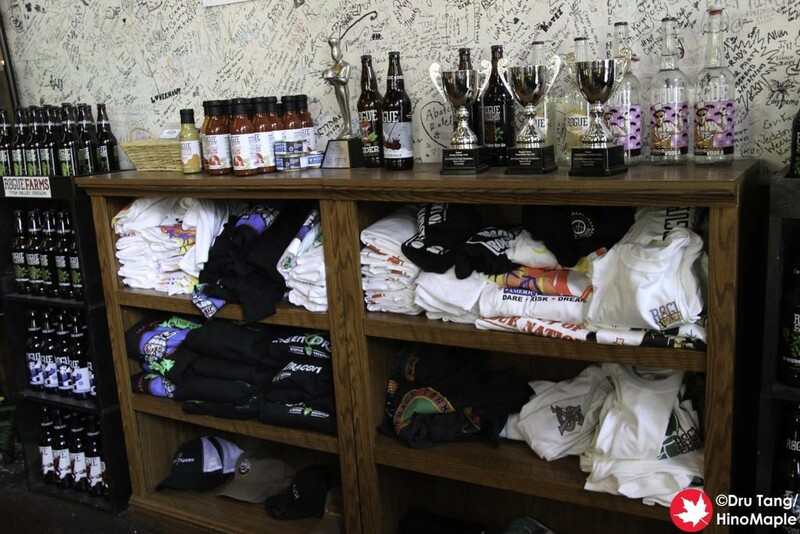 I remember having a chipotle beer, a beard beer (made with yeast from the brewer’s beard), and a couple others. They were all very good and I really enjoyed all of them. The food at Rogue was also delicious. I had their Sriracha tacos to start and they were great. Double tortillas to make sure it all stayed together and topped with Sriracha, it was heaven in my mouth. 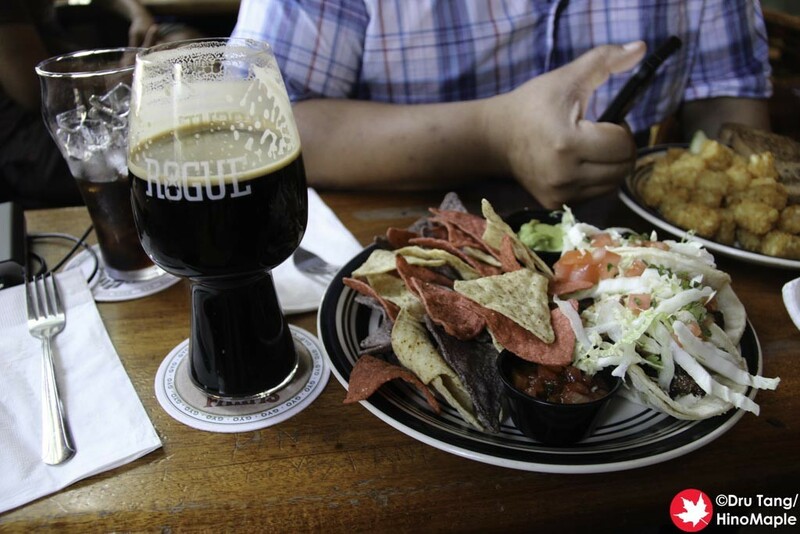 Instead of going to 10 Barrel Brewing, we stayed at Rogue and ordered a little more food. We had to ask Wario for his favourite dish and we were not let down at all. 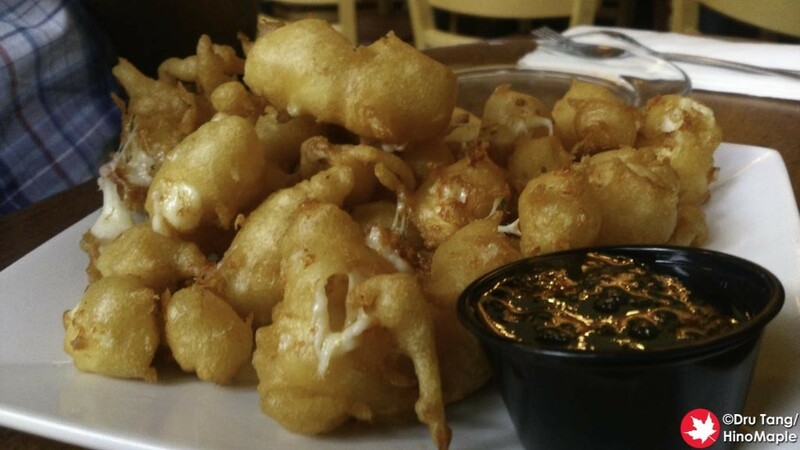 He recommended the Fried Cheese Curds which came with a sweet jalapeno dipping sauce. Let’s just say that my mouth exploded and died at the same time from the happiness. My only letdown was that my own stomach was not large enough to try even more at Rogue. 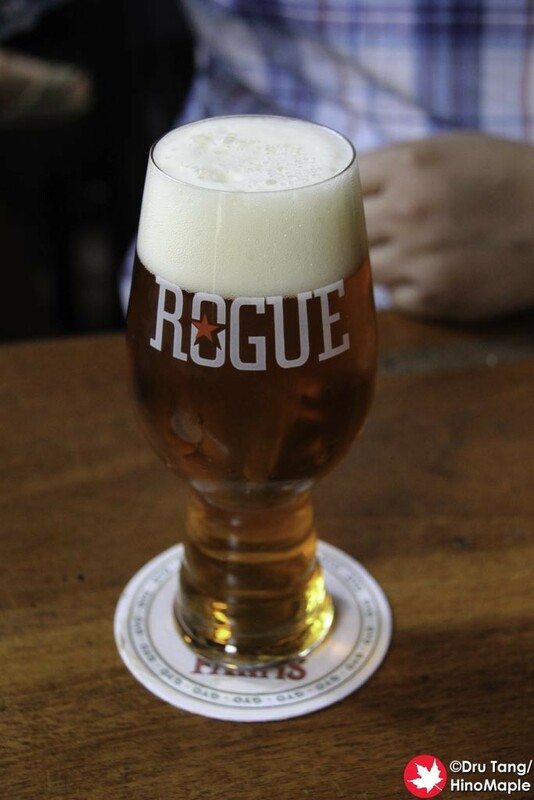 I really can’t recommend Rogue enough. They weren’t very busy when we went and they have something for everyone. I was able to get a lot of great food, which surprised me, as well as great beers. The service from Wario was tremendous and the atmosphere inside was very laid back. I never once felt that I was being rushed to leave and it felt like they wanted us to stay. When the place did get a little busy, we still felt the service was really good. 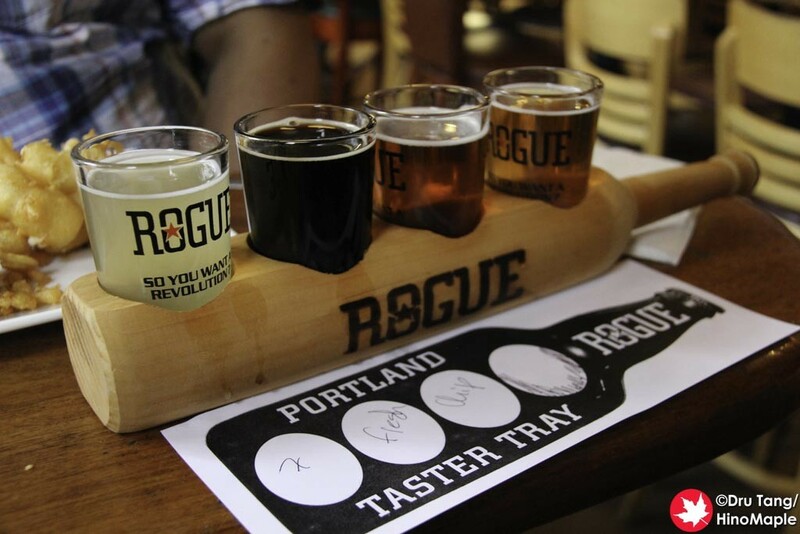 Whenever I’m in Portland, you can be sure that I’ll be stopping at Rogue at least once. 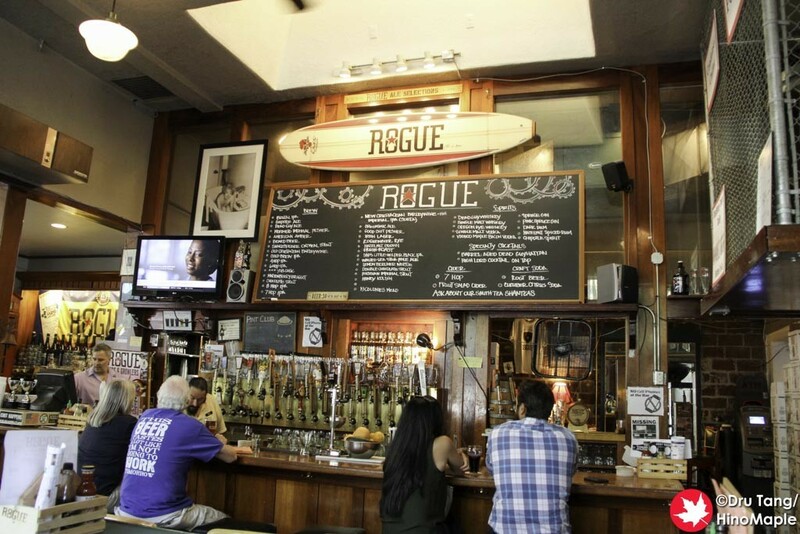 This entry was posted in US Food and tagged America, beer, craft beer, Oregon, Portland, Rogue, Rogue Ales, Rogue Ales Public House, Rogue Distillery, Rogue Distillery & Public House, US, USA by Dru. Bookmark the permalink.